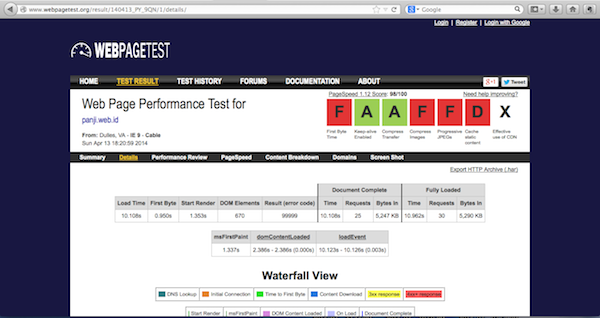 Site performance is a method to measure how fast your site load on desktop and mobile device. Most of the techniques are similar both some are specific to mobile. This method also known as Web Performance Optimization or Website optimization. Steve Souders coined web performance term around 2004. Long before people optimize website by optimizing the backend apps, optimizing hardware, look for packet loss etc. Web Performace techniques try a different approach where it try to make the site load faster and displayed faster so it will give better experience to user. 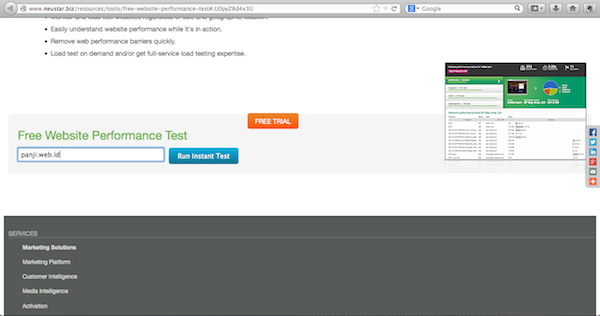 Of course you don’t have to guess regarding your site performance. 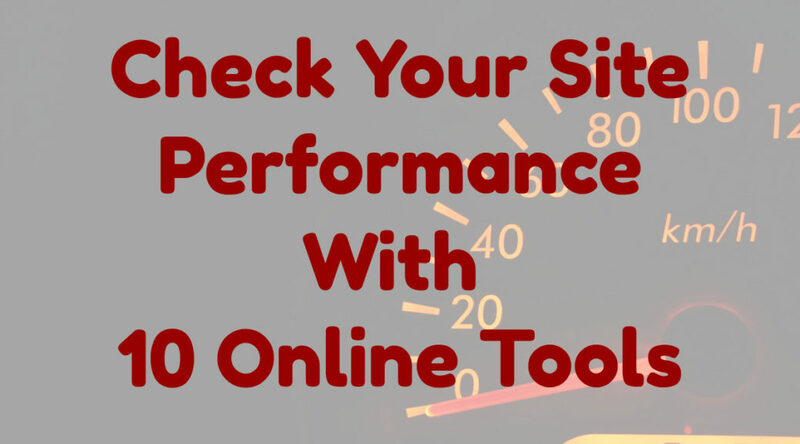 You can check your site performance using online tools. These sites not only assess your site but also gives you tips and even tutorial on how you can improve your site performance. 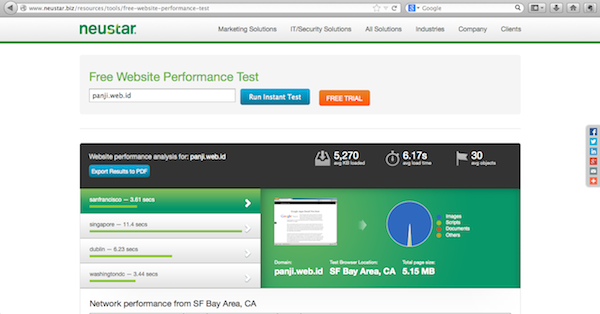 These are five online tools that you can use to check your site performance. 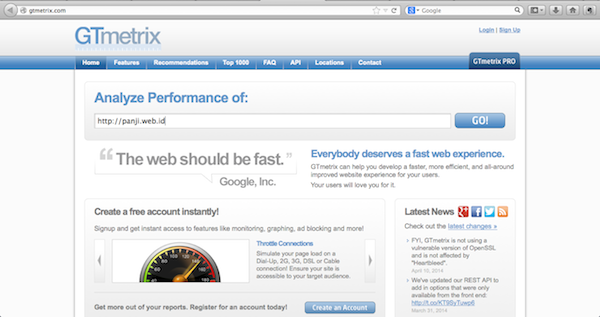 The first one of course PageSpeed tool from Google. 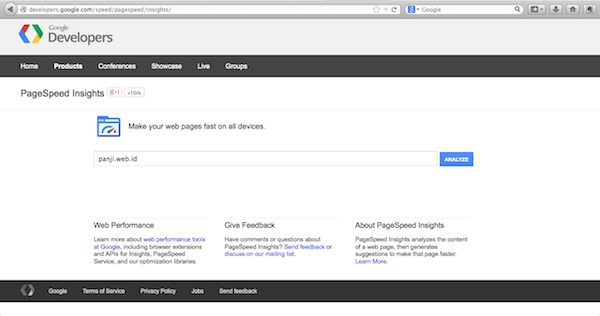 Google PageSpeed assess your site two different perspective, desktop and mobile. Most of the check list apply for both desktop and mobile, some of them specific to mobile like tap size. You can see sample of Google PageSpeed result below. You can get your site valued up to 100. 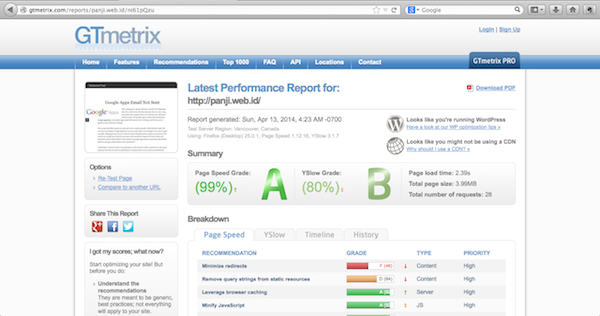 Not only giving you value but Google PageSpeed also give detail on what to improve and how-to improve for each item. Previously there are plugins for both Chrome and Firefox but the plugins deprecated and Pagespeed Insight only available in online version. 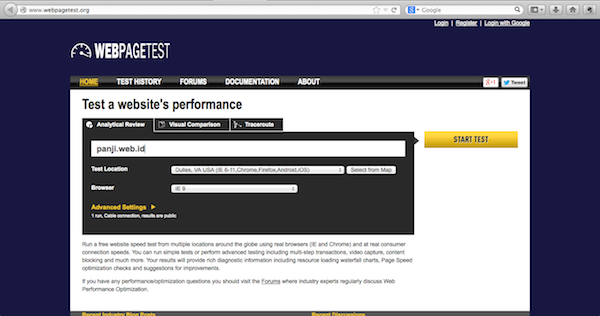 Webpagetest gives you more options about the testing iteself, you can select your test location and also your browser. You can even choose the internet connection simulation so you’ll know how is your site performance from your visitor perspective when they use slow conenction.